Y'all...this recipe is insane. 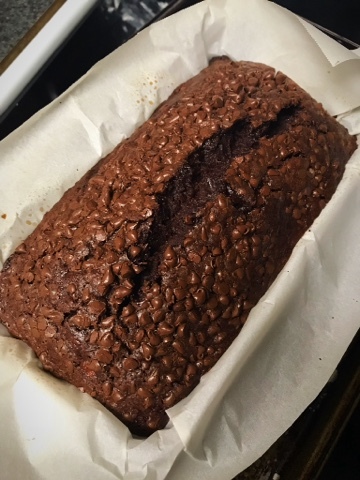 It's the best of banana bread and a fudge brownie. It's delicious. And so easy to make. Pin this or save it or share it with a friend. Trust me...it's one you want to bake up! 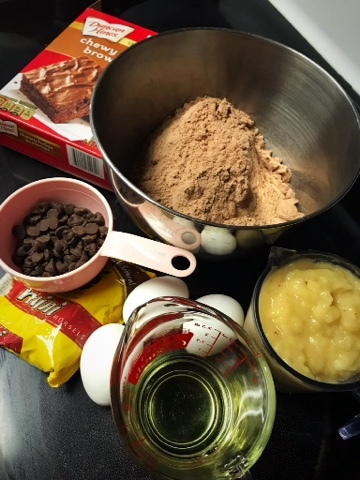 * Mix together the dry brownie mix, eggs, oil, bananas, and 1/2 cup chocolate chips. 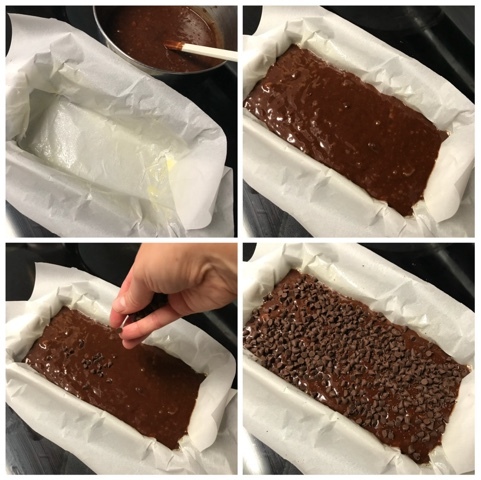 * Line loaf pan with parchment paper. Spritz with cooking spray. 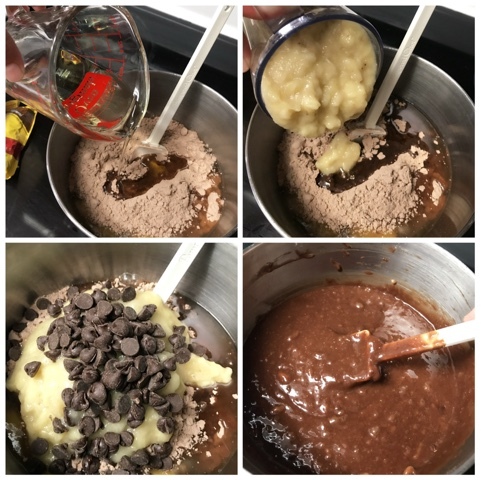 * Pour mixture into prepared loaf pan. Sprinkle top with remaining 1/4 cup chocolate chips. * Bake at 350 degrees for 60-80 minutes. It took me 80 minutes to get my knife to come out clean-ish from the center. But start checking yours at 55 minutes and gauge from there. Let me know if you try this! It's not a health food, despite having about three bananas in it. But we all need treats in life. Enjoy! !